Nine years now……nine!! Thanks to Mike Hardesty for arranging this show 9 years running, almost the entire time I have lived in Westminster, MD around the corner from where the show takes place. This year the weather was great for us again, both days. 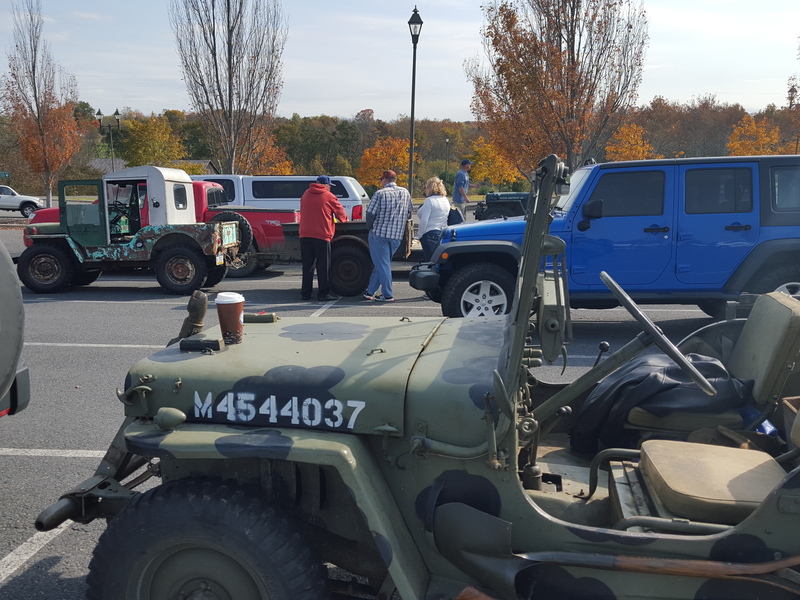 Saturday we gathered at the outlets in Gettysburg, PA for a battlefield run. 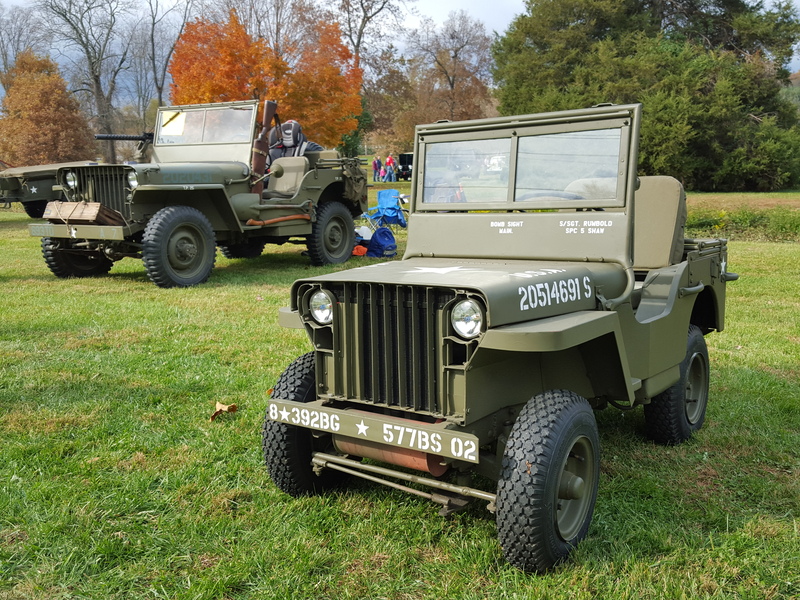 A handful of Willys Jeeps representing the array of models from the 1940s to the 1960s, and a couple newer models, traveled the battlefield for an artillery tour arranged by Mike Hardesty. It was a great time to catch up with the regulars and meet some new folks including a couple fellows from North Carolina. While I have attended the Sunday show for years I never was able to drive in the Saturday tour. 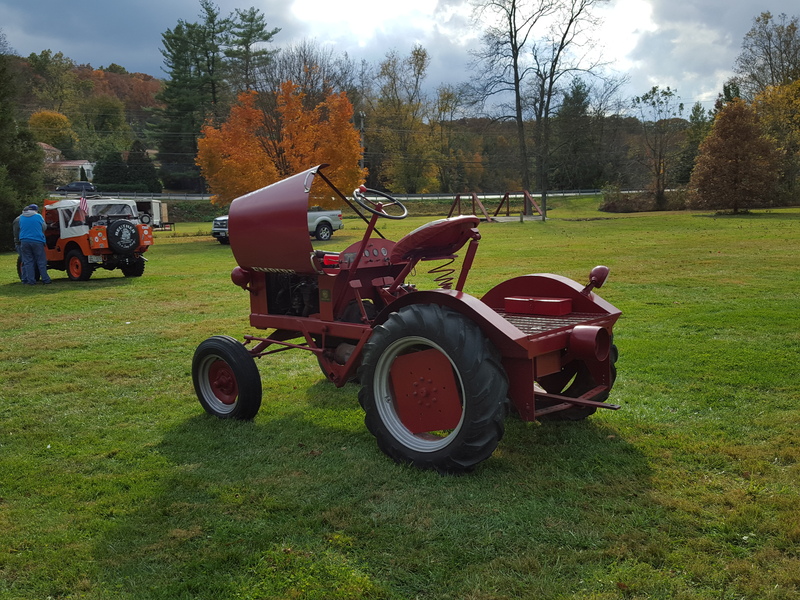 I had fun following a Willys Wagon owned by Bruce Kieta, we overhauled everything mechanical in this wagon last year for him. As we drove around the battlefield we made various stops to learn about the type of artillery scattered all around Gettysburg. And of course this made for some great photo ops. 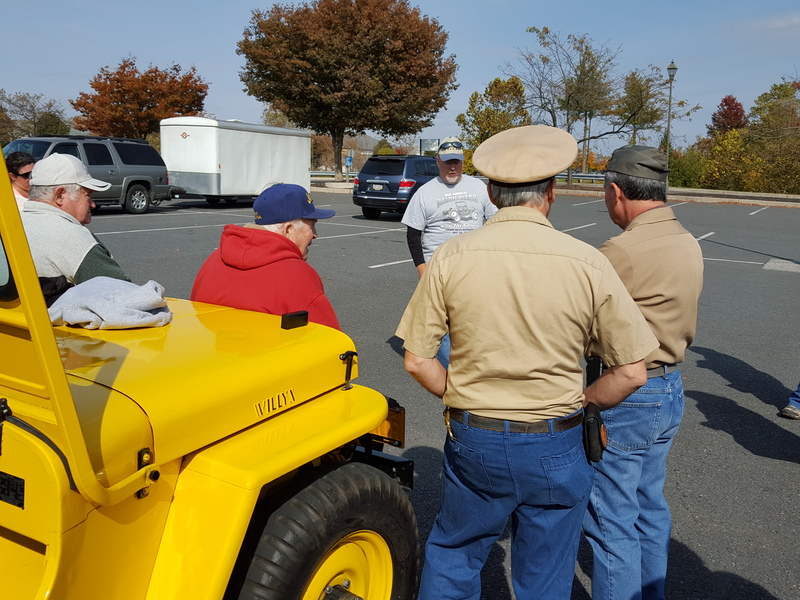 The tour went on until 3:00 and folks gathered later at 6:00 for craft beer, food and jeep stories. The weather sounded better and better for Sunday as we kept checking updates. Sunday morning dawned and I pulled our 1941 outside, was met with a quick light rain and then that was it. 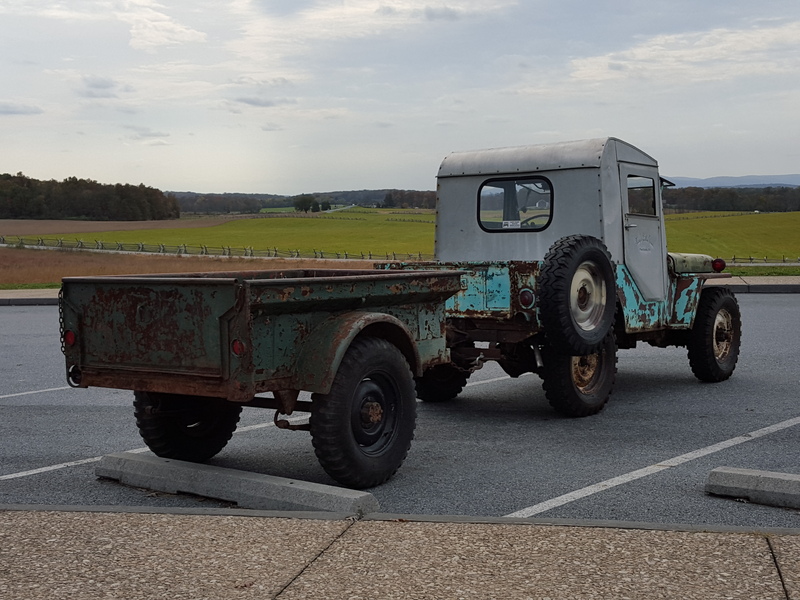 With the help of friend Richard Bleser we packed the 1941 Willys and picked some items for sale to load in Richard’s truck then off we went. 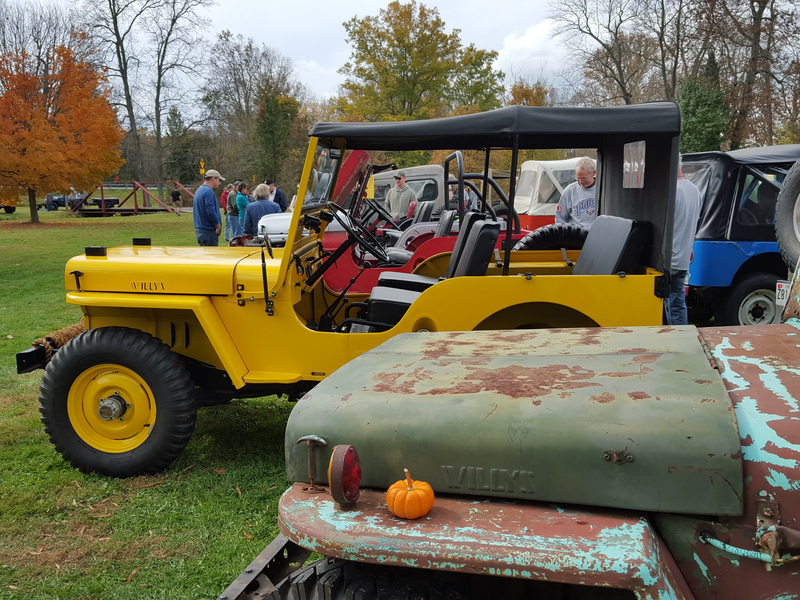 There was the usual wide and colorful array of early jeeps. And some new and different ones including this 6 wheeler, number 9 out of 13 prototypes made. It was brought by Oliver Davis who is interested in selling it. 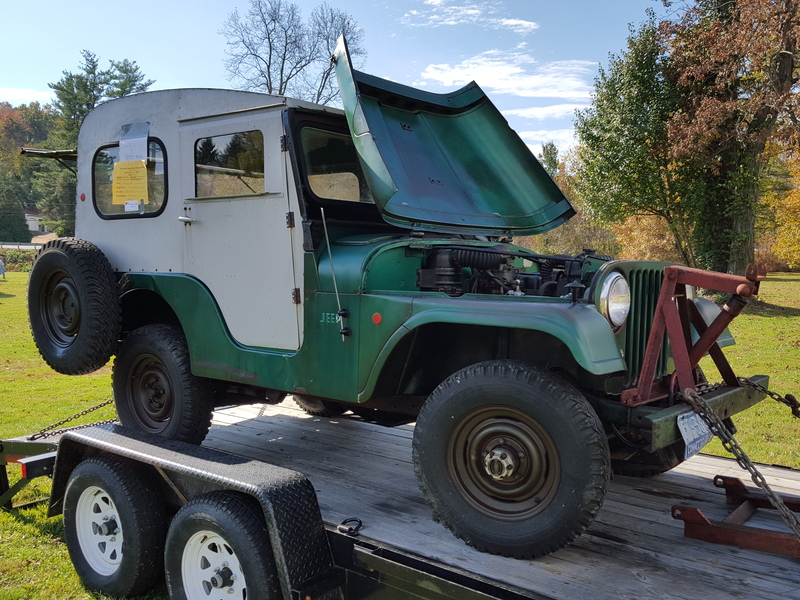 Another neat vehicle for sale was this 1959 CJ5 with 8,000 original miles. And among the military Jeeps was this midget built and brought by Bill Shaw. 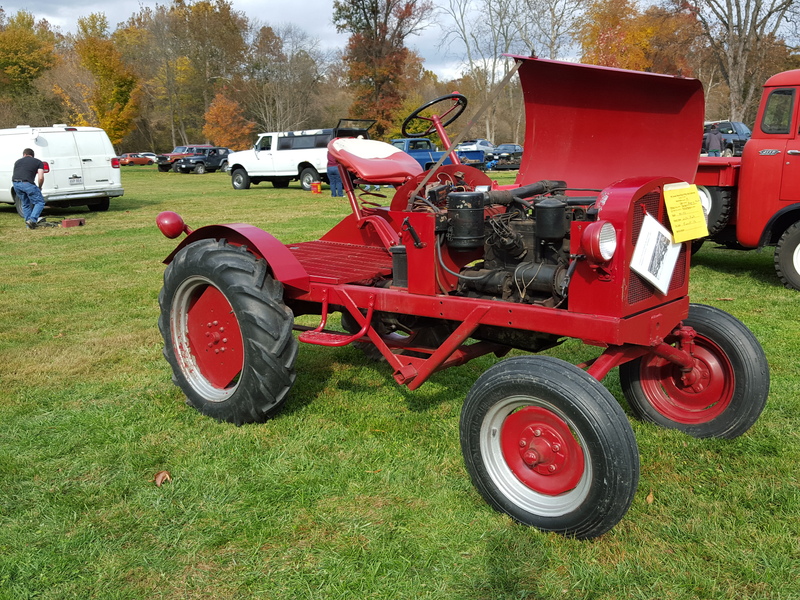 A really interesting piece this year was the Empire tractor, these were built with Willys engines and drivelines. In the words of one of our North Carolina visitors, this is a “down home” type of show. And it is a wonderful way to wind down the Jeep season. Thanks to everyone who organised the gathering, and everyone who came. I am already looking forward to next year. 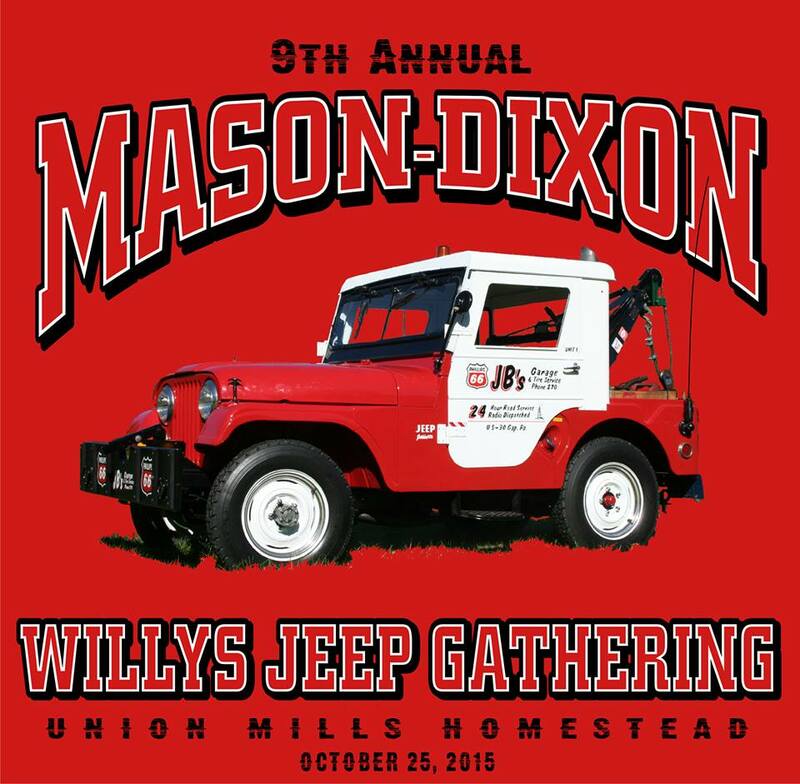 Bring your vintage Willys (or Kaiser) Jeep to historic Union Mills Homestead for this special gathering! 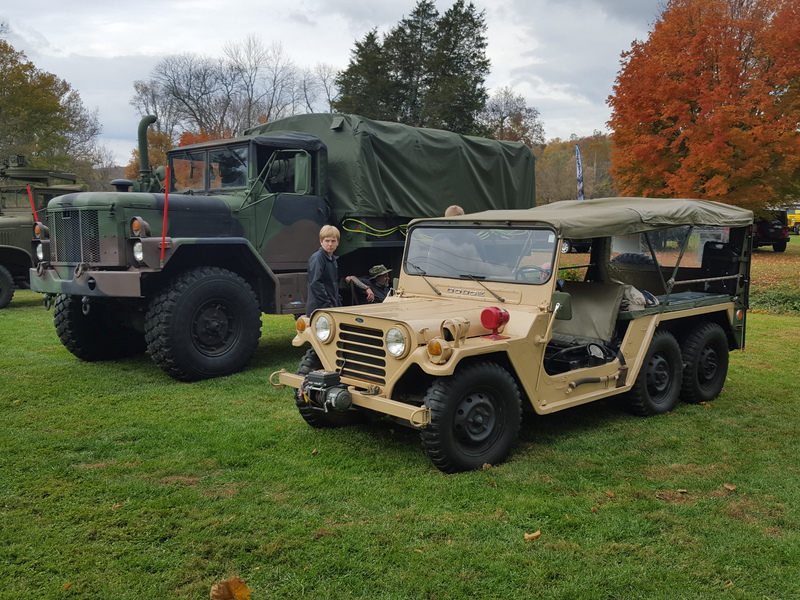 Civilian and Military Willys Jeep vehicles are welcome and encouraged to attend! 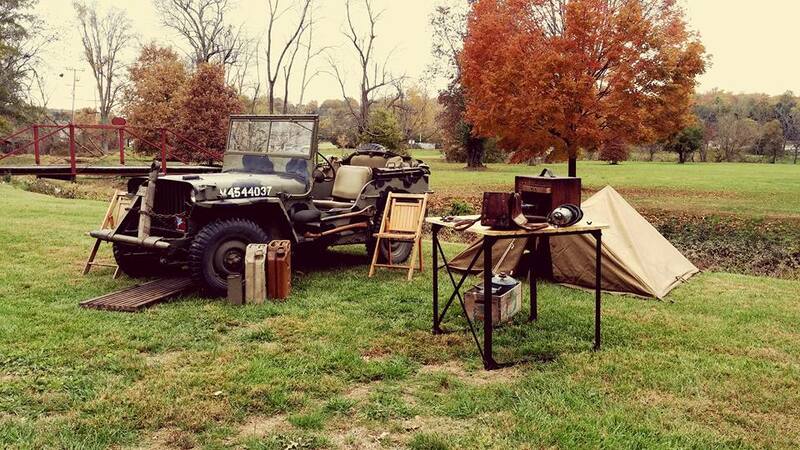 (MB, GPW, CJ2A, 3A, 3B, M38, Forward Control, Willys Wagons, Jeepsters, Willys Pick-ups, etc.) 5 Trophies to be awarded, including Best Work in Progress! Where: Historic Union Mills Homestead 3311 Littlestown Pike (MD route 97 north) Westminster, MD 21158. 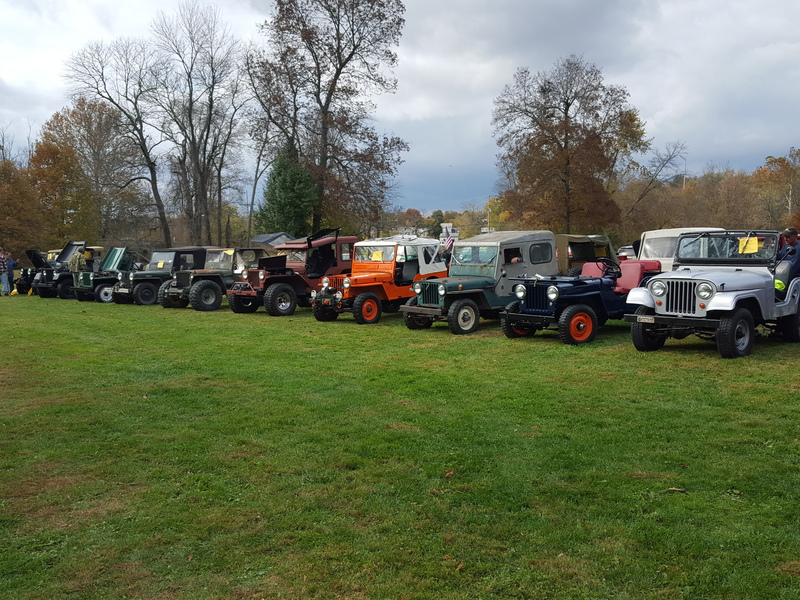 General Information: This free, annual event is for Willys Jeep owners, Jeep enthusiasts, and the general public to share information and view a rapidly disappearing piece of American automotive history! Union Mills Homestead is a beautiful park setting rich in Civil War History, so be sure to take the tour! Pit Beef and refreshments will be available! 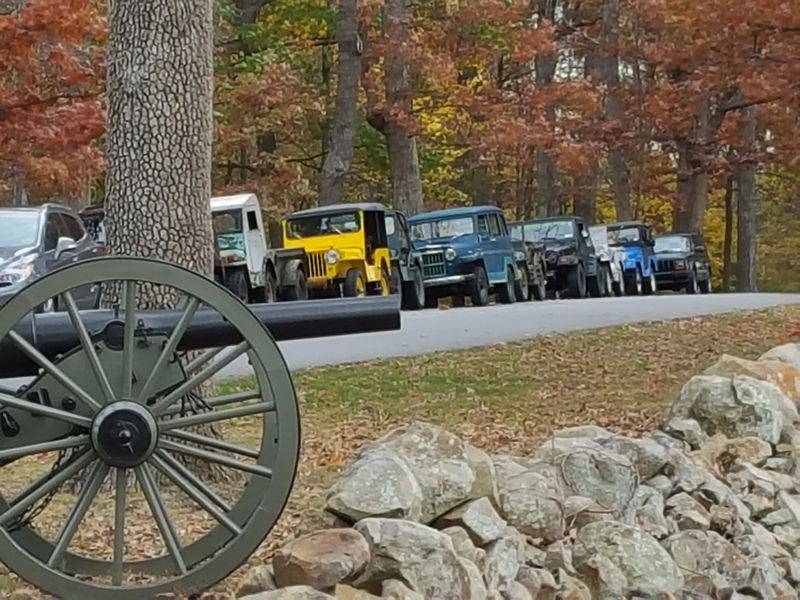 Gettysburg Battlefield Run: For those interested in making this a weekend event, we will hold a Gettysburg Battlefield run (paved surfaces) on Saturday October 24th (Day before the Show), weather permitting. We will meet at 12:00 noon at the Gettysburg Outlets (US 15 and PA 97) by the theater complex. 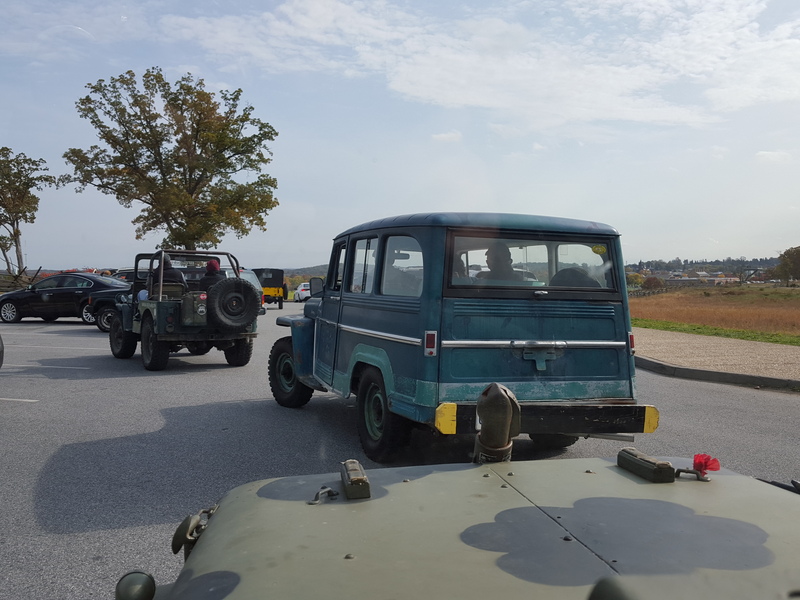 After the Battlefield run, we will meet at a local restaurant / tavern for food and drink, and the opportunity to tell Jeep stories! 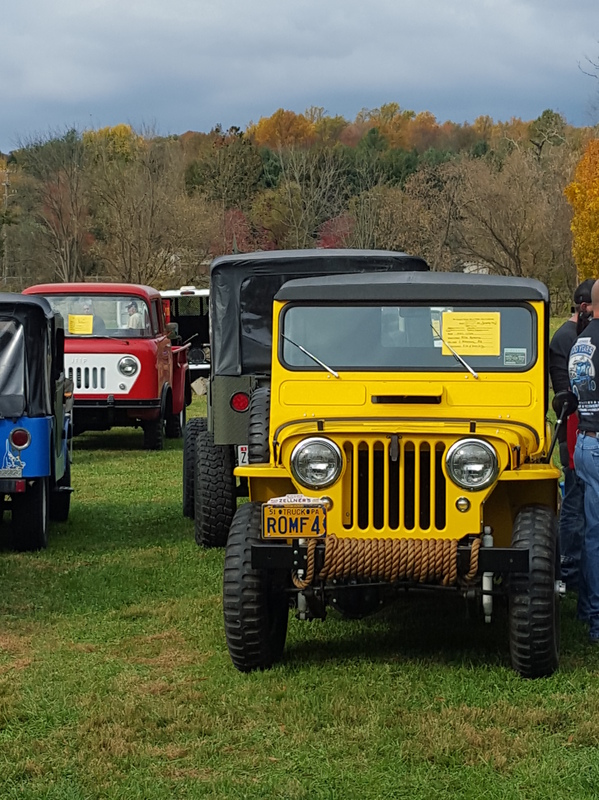 Registration & Questions: For more information or to register your vehicle, send an e-mail to admin@jeepchasm.com with the type of Willys vehicle you will be bringing. If you need a place to stay, we can recommend several Motels and Hotels.